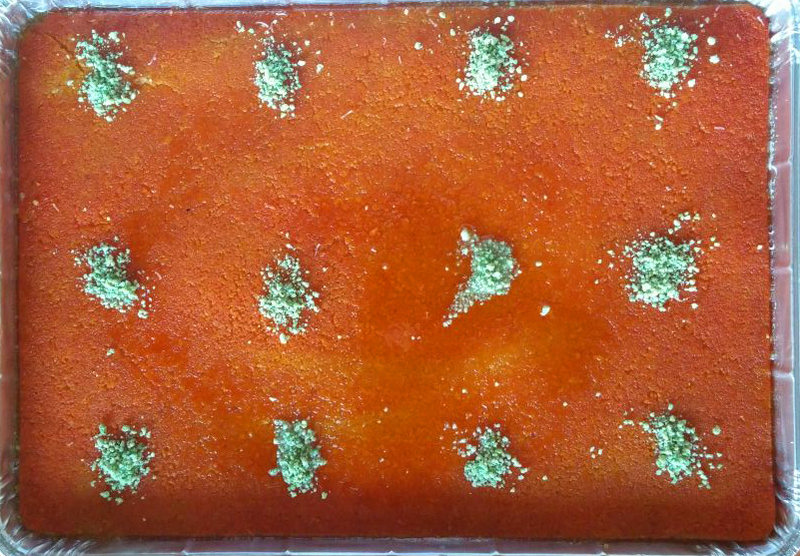 The original recipe knafeh nabulsieh with cheese. 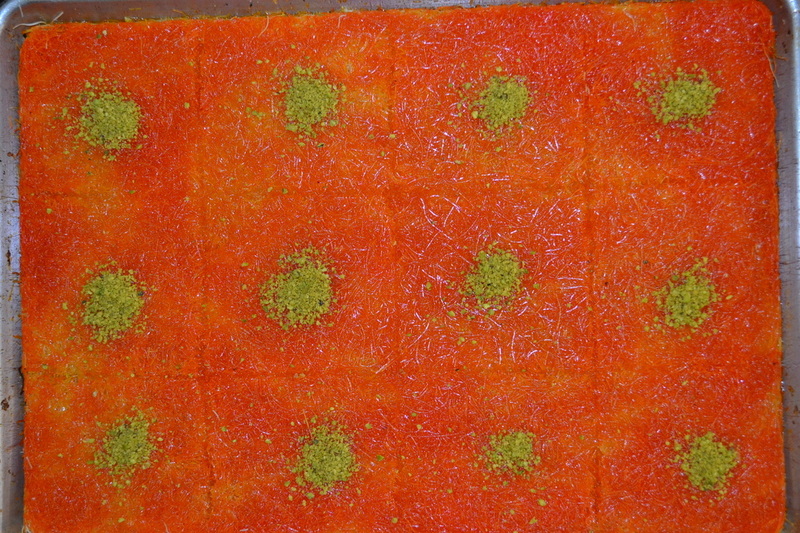 This type is made of soft crumb shredded filo dough. Full tray 18″ x 9″ total 12 servings. No syrup is added, you can make your own regular sugar syrup, use sugar sub, or honey. The package includes warm-up instructions and how to make syrup.